Darren Wright celebrates 30 years selling homes from Broadstone in 2018 and has moved over 7,000 people during this time!! In 2004 Darren took over the premises of Rumsey & Rumsey where he has worked since 1988 and opened Wrights Estate Agents who have since become one of the area’s leading Estate Agents. Darren has appeared on television and radio for programmes including BBC Radio Solent and Escape to the Country. He also plays drums in a local band. Michelle Wright started her Estate Agency career at Rumsey and Rumsey Estate Agents where she gained an in depth knowledge of all aspects of Estate Agency. 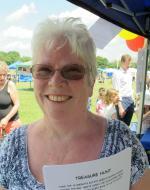 She then enjoyed ten years working for the area's largest independent Letting Agent. She jointly set up Wrights Estate Agents in 2004 with her husband Darren Wright and plays an active role within the company and also volunteers for Julia’s House. Kirk celebrates 20 years in Estate Agency in 2018. 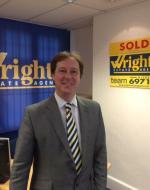 Kirk Wright started his estate agent career in 1998 and has built up an in depth knowledge of all aspects of estate agency. He progressed from trainee negotiator through to senior manager with a highly respected corporate estate agency in the area. 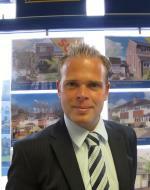 During his career he has moved thousands of satisfied clients. Kirk is Darren Wrights brother and is an integral part of Wrights Estate Agents, which is a family owned and run independent estate agency. 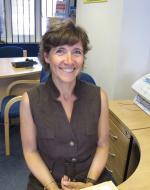 Sarah has worked in the Estate Agency profession since the mid 1980's and is a valued member of the Wright's team with her excellent knowledge of the house moving process. 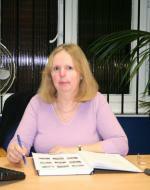 Pamela – another original member of Rumsey and Rumsey – she worked for Rumsey and Rumsey since the mid 1980’s. She has a wealth of property experience. She is professional and a local lady with local knowledge. 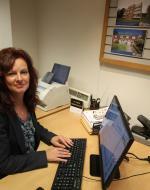 Bernardette joined Wrights Estate Agents from Day One and has successfully learned the business inside and out. She is a local lady with an excellent wealth of local knowledge.